Another year has passed, and suddenly here we are in 2019. Time to start fresh with some new goals. Time to take the lessons learned from last year and apply them to this year. And time to reveal my new one-word resolution. The words I chose for the last two years — Balance and Wellness — came to me quickly with little contemplation. I somehow instinctively knew those words belonged to me for a year. But this year wasn’t as easy. My list of words to choose from was longer, and any one of them would be fitting for me. But after a month of test-running my list of 20 potential words, I figured out which one I wanted to bring with me into 2019. But then I noticed that every time I attended one of my beloved hot yoga classed, the instructor would say the word Grounded multiple times. Whether we’re in mountain pose, standing tall with our eyes closed and feeling our feet grounded on the floor or we’re in a seated position, noticing the long line of energy that begins where we are grounded on the floor and traveling up our spines to the top of our heads, I’ve come to think of Grounded as meaning something other than those standard definitions. 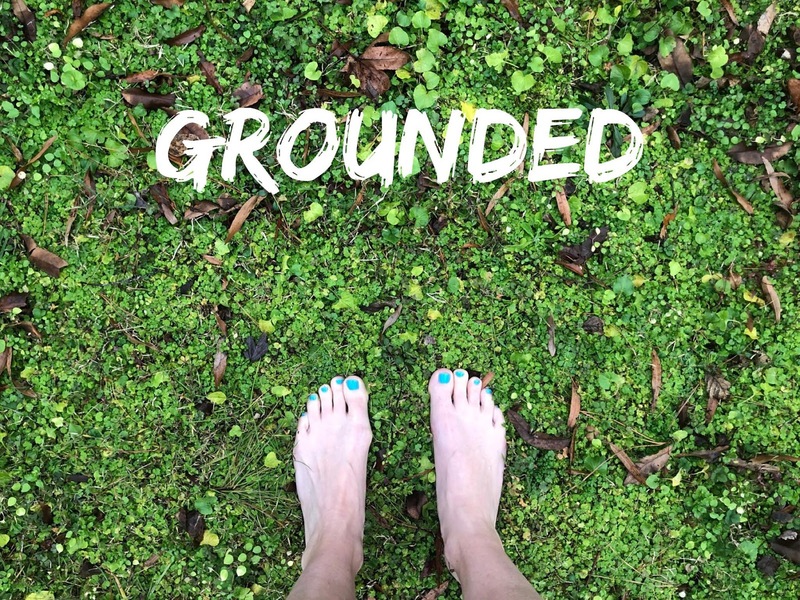 Grounded also makes me think of one of my favorite guided meditations that I fall back on when I’m stressed or angry or nervous or worried or just generally ruminating over thoughts that do nothing but exacerbate whatever emotion I’m trying to soothe. To paraphrase, in this meditation, you envision tying this unwanted thought on a string that’s attached to a balloon. And from the ground, you watch the balloon float away with your thought. I live inside my head a lot, and the image of watching my troubles float away while I stay firmly on the ground — and capable of walking away — is comforting. But I’d like to use it more. I’d like to improve my ability to let go of what’s unnecessary or out of my control and simplify my thoughts. I’d like to be able to plant my feet on the ground and be mindful of where I am at any given moment, mindful of what’s truly important in my life while ignoring the chatter. So with my word in mind, I started off 2019 on January 1 by applying it as literally as I could. I went outside. I took off my socks and shoes. And I walked around my backyard, letting the earth kiss my bare feet. I stood in mountain pose, closed my eyes and imagined all the not-so-great parts of 2018 floating away with a bouquet of colorful balloons, while giving thanks to all the wonderful parts of 2018. I’m excited to see where this word and this year will take me. Bring it on, 2019! Also the blue toe nail polish. Looking forward to this year's articles.